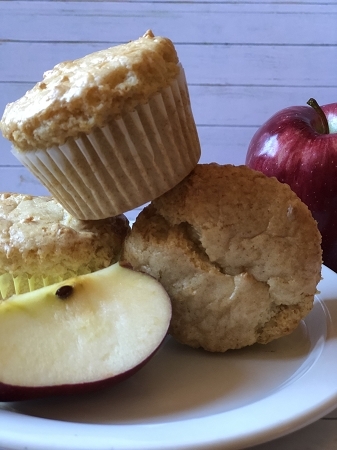 Our Apple Spice Muffin mix perfectly blends apples, cinnamon and nutmeg in a light and fluffy, healthier muffin. Easy to make—just add water and bake. 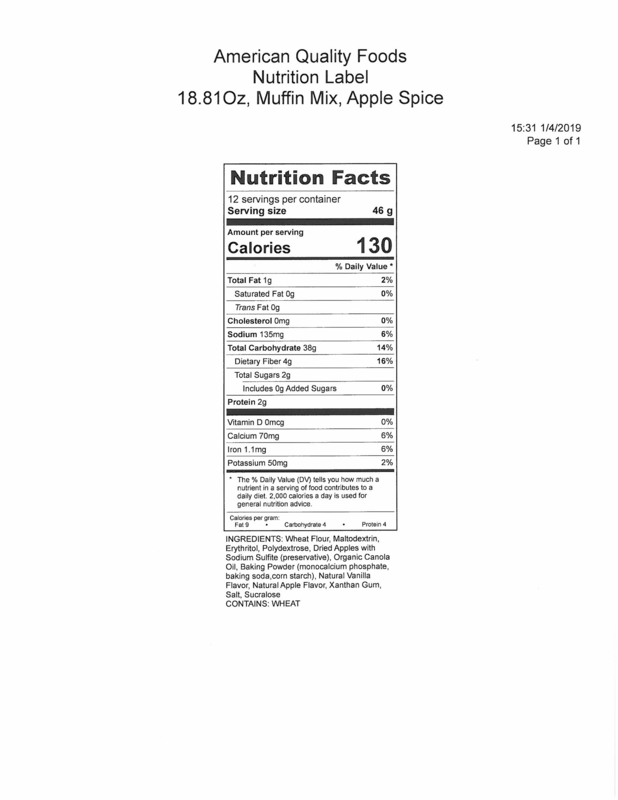 Whole Wheat Flour, Wheat Flour, Maltodextrin, Polydextrose, Sugar Cane Fiber, Shortening (Soybean Oil, Canola Oil, Mono & Diglycerides), Erythritol, Nonfat Dry Milk, Whole Dried Eggs, Dried Apples (contains Fresh Apples, Calcium Stearate, Citric Acid, Sodium Sulfite), Modified Starch, Monocalcium Phosphate, Calcium Acid Pyrophosphate, Emulsifier, Cinnamon, Baking soda, Vanilla Flavor, Salt, Xanthan Gum, Cellulose Gum, Nutmeg, Sucralose.